Best practices for crafting interfaces that developers love. The app developer is the consumer of your web API. Good API design follows common practices that makes them easy to find, easy to understand, and easy to consume by the developers. Following defined policies and principles reduces complexity in development, reduces the time taken for developers to learn the API, and may ultimately reduce time to market. 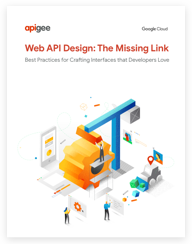 In this ebook, you will learn about API design patterns, principles, and best practices used by some of the world’s leading API teams that make it easy for developers to easily find, understand, and consume your APIs.